Pages etc. : 374p., ind., 25cm. ...Kiss. 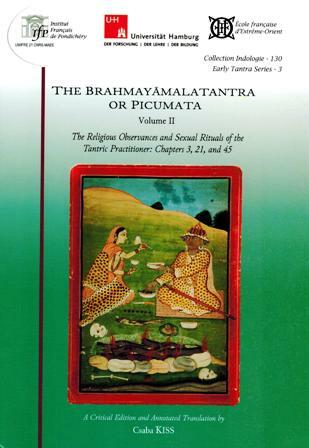 The present volume contains a critical edition and annotated translation of three of its chapters: one on the central mandala of the cult, one on preliminary religious observances (vrata) prescribed for all practitioners (sadhaka), and one on instructions for each individual category of sadhaka -- instructions on transgressive sexual rituals for the Talaka, on strict rules of conduct for the chaste Carubhojin, and on a combination of these for the Mixed Practitioner.